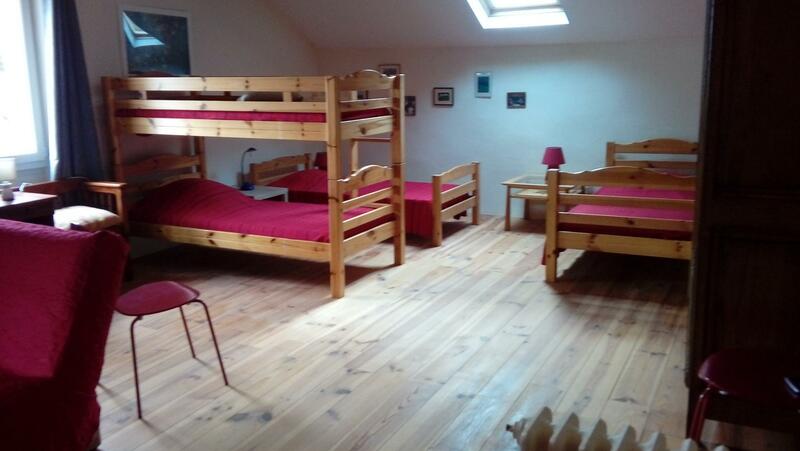 This big room spatieuse fitted out in dormitory has 7 sleepings around among which 1 double bed and 5 single beds. She is situated on the second floor of the house and has a corner lounge with books and games. A fantastic view over the bridge valentré since the corner lounge. Count 2€ more for the rent of sheets and 3€ also if you wish to wash your linen. 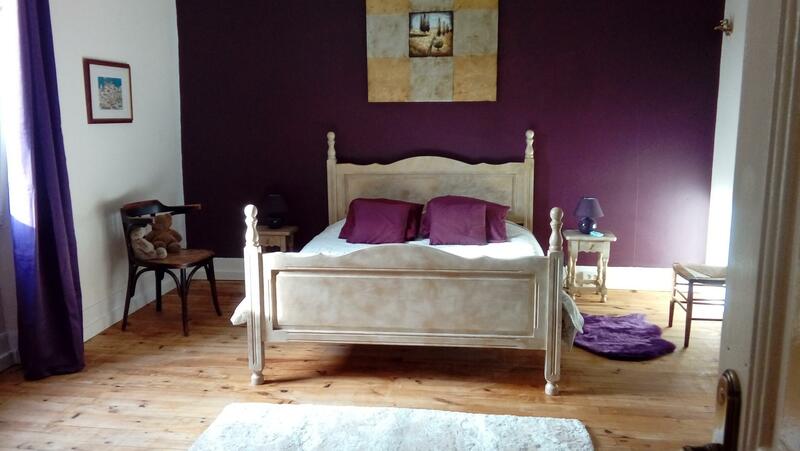 Big single room for couple with 1 double bed. 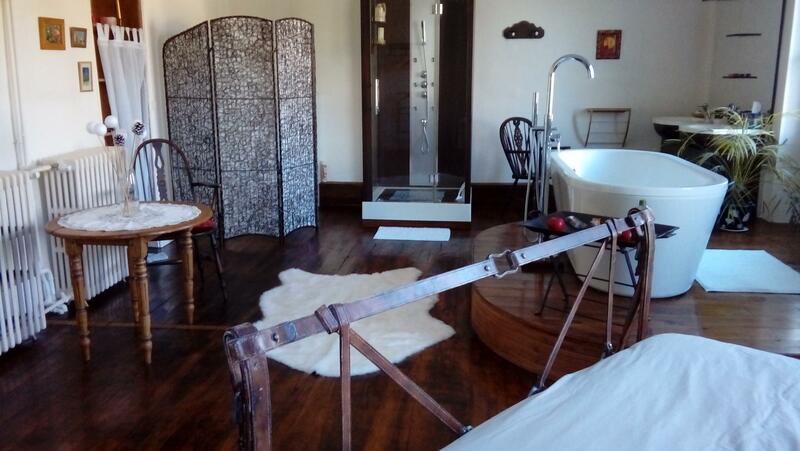 Sheets and towels of inclusive baths. She(It) is situated on the first floor of the house right-hand side with bathroom and TOILETS on the landing. 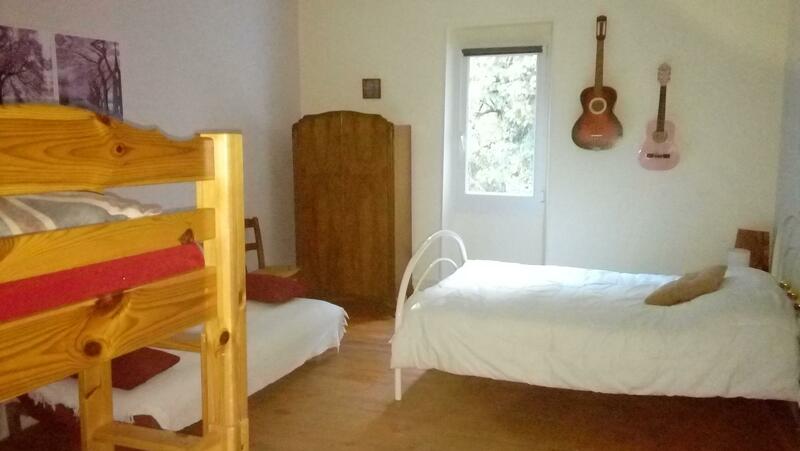 Half board (overnight stay, breakfast, dinner): 80€ for two persons and 60€ for a person. Details: 40€ the overnight stay for the room 52€ the overnight stay to have breakfast for two people and 46€ for a person. Count 3€ more if you wish to wash your linen. Games(Sets) and accessible(approachable) library(bookcase) also. Half board (overnight stay, breakfast, dinner): 90€ for two persons and 70€ for a person. Details: 50€ the overnight stay for the room 62€ the overnight stay to have breakfast for two people and 56€ for a person.